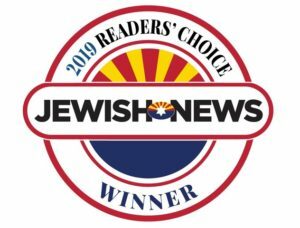 The Jewish News is excited to hold our second annual Readers’ Choice. We always enjoy hearing from our readers, but this is a time when we particularly welcome your feedback as you weigh in and share with us your favorites. Our categories cover everything from your favorite restaurant to the best bagel! We want to hear about your tried and true picks, the businesses and organizations that you and your family consider vital to our Jewish community. Voting closes Sunday, April 28, 2019.